The Roland Aircraft Z-602 XL is a high-performance single-engine, two-seat, low-wing, all metal microlight airplane with a fixed tricycle undercarriage with steerable nosewheel. The Roland Aircraft Z-602 is a derivate of the Zenair Zodiac CH-602, the further development of the Zenair CH-601 that was developed in the early 1990s by Chris Heintz, founder and chief designer of Zenair. The Zodiac CH 601 model itself was based on the original CH 600 aircraft, developed in 1984 as a primary trainer. In 1992, Heintz licensed the kit manufacturing and marketing rights to Zenith Aircraft Company for the Zodiac CH 601 and the STOL CH 701 designs. In 1992, Heintz also entered into a license agreement with Czech Aircraft Works of Stare Mesto, Czech Republic, to produce and market his Zodiac and STOL CH 701 designs for the European market. The Czech-produced Zodiacs were modified and lightened to meet European rules for microlight aircraft. CZAW produced some 750 such machines under this agreement. On 31 December 2006, after the license agreement, under which the Zenair Zodiac and STOL CH 701 light aircraft designs were produced by CZAW, was terminated the Czech production came to an end. After the CZAW production of the Zodiac CH-601 ended, Roland-Aircraft ended its co-operation with Zenith and started production of the Z-602 in Germany, first in Neuhausen ob Eck. In 2010, Roland-Aircraft moved its production-facilities to Mendig airport. 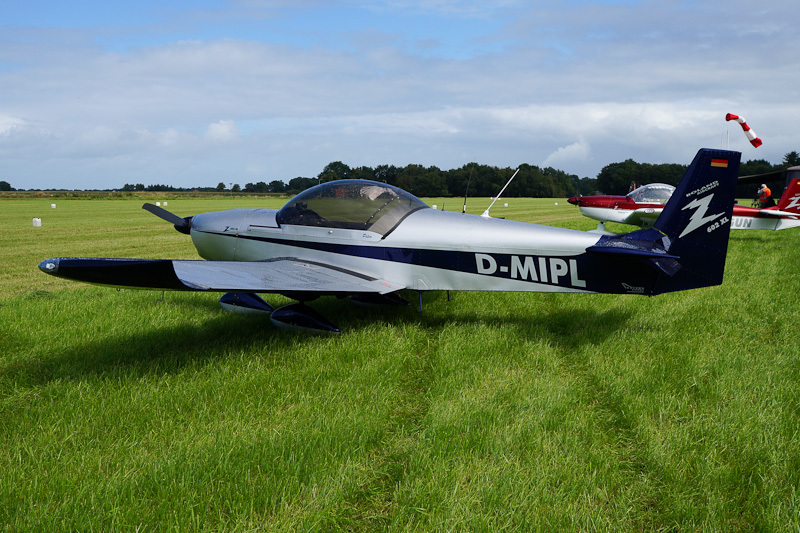 The in April 2008 built Roland Aircraft Z-602 XL D-MIPL was one of the visiting aircraft at Fly-in Gees at the temporarely MLA-airfield near Gees in Drenthe, the Netherlands, on 5 September 2015.